Alternative certification programs are growing at a time when there has been considerable attention at the federal and state policy level to the importance of quality teachers. Recruitment, preparation and performance evaluation are all coming under scrutiny. In response to many of the arguments against Teach for America—that it is white and elitist, short on pedagogical seriousness, and disdainful of career educators—the organization, under new leadership for the first time in its history, was considering a significant policy change. Everything about Teach for America is being subjected to internal debate, from the length of the five-week training and two-year placements to the very language it uses to describe its mission and impact. What does TFA's evolution mean for a national school reform movement built upon the organization’s ideals? This isn’t entirely fair. While Teach for America made news this year when it announced that fully half of its new corps members this year were teachers of color, they have long been a far more diverse teacher preparation route than traditional programs. In 2007, 27 percent of TFA’s new corps members self-identified as people of color. As Goldstein notes in a chart in her piece, only 18 percent of American current public school teachers are people of color (that number was 17 percent in 2007). Furthermore, as a former first-grade TFA teacher in Brooklyn and adviser at a TFA summer institute a few years later, I can attest to the fact that TFA has long been an organization on the move—internal debates didn’t just start with the new leadership. But Goldstein’s broader point is fair enough: TFA's image has become more problematic in recent years, and the organization is contemplating more dramatic steps to address this. For their part, Teach for America responded enthusiastically to Goldstein’s piece. I’m glad they did, since I’m also interested to see if the organization can find ways to improve corps members’ practice and longevity in the classroom. But I worry about the framing in both articles. Both present alt cert in general—and TFA in particular—as a problem, as a project that urgently needs fixing. Read them, and you’re called to consider whether alt cert programs are worth having, and to wonder whether they can be saved. Admittedly, the quality of alt cert programs varies quite a bit. But it seems to me that these articles miss an opportunity to put these programs—TFA in particular—in the proper context. First of all: TFA teachers teach fewer than 1 million students, which works out to approximately 1.5 percent of U.S. Pre-K–12 students. The 2014 TFA corps of new teachers was 5,300 strong. There are 3.4 million public school teachers in the United States. That is, TFA is neither a lever for dramatically improving or ruining U.S. public education. That is, dramatic reforms to TFA’s teacher training aren’t going to substantially shift the trajectory of American public education—it’s simply not big enough to make that sort of difference. Which brings me to my second point. Why does alt cert attract such outsize attention? Because programs like TFA implicitly reveal the problem with the main core of U.S. teacher preparation. There’s substantial research showing that TFA teachers perform at least as well as traditionally trained teachers—and sometimes perform better. Goldstein mentions this a bit. Kamenetz cites one study that showed mixed results from TFA teachers over their two years in the classroom (which prompted readers to send her studies showing better results). TFA supporters often cite the research on their teachers’ effectiveness in defense of the organization’s mission. And they should. Alt cert critics often argue that there are flaws in the methodology of some of these studies. And they should. But that’s all a sideshow to the real message from the research: How are TFA teachers even coming close to performing as well as their traditionally trained peers? As critics are always pointing out, these are (mostly) 22-year-old kids with five weeks of formal preparation for stepping into some of the toughest classrooms in the U.S. That they do about as well as their traditionally trained peers isn’t so much a TFA success story as a national scandal for our traditional teacher prep programs, which prepare 80 percent of American teachers. Let’s say you go to the airport and you have a choice of three different pilots. One has trained for 30 hours online, the second has five weeks in the summer, and the third has studied, become certified and has spent a year as an intern. Which airplane would you choose? Got your answer? What if I told you that most research shows that the second and third pilots perform roughly the same—and some even shows that the second pilot does best? While we could conclude that this means that our alt cert program for pilots needs to improve ... we could also conclude that this shows the terrible state of our traditional pilot training programs. None of this is to suggest that TFA should somehow stop trying to improve corps members’ training. Nor that the broader world of alternative teacher certification can’t get better in tangible ways. Many alt cert programs are much less reflective than TFA when it comes to improving their recruitment and training programs. Rather, it’s to point out that the effectiveness of TFA’s current model isn’t the core problem with American education. TFA—and some other alt cert programs—are already performing about as well as our main teacher preparation pipeline. Which, to my mind, is a real scandal worth far more attention. 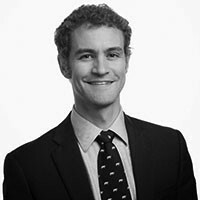 Dr. Conor P. Williams is a senior researcher in the Early Education Initiative at the New America Foundation. Follow him on Twitter or Facebook. He can be reached at [email protected].